Life with Lolo: Colorado Christmas - Craft Beer Style! In my opinion there's no such thing as too much beer talk. 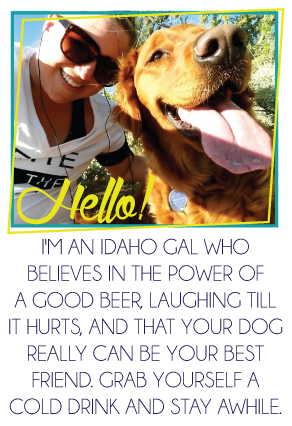 In case you missed Sarah Elizabeth's post a while back so I have another guest blogger for you to talk more about beer! Holiday beers are my favorite, so please enjoy this Colorado beer breakdown by Lexi from Lex Be Livin'! ‘Tis the season for family, sweaters, and wreaths. Christmas trees are decorated with the Nutcracker soundtrack softly playing in the background and the fire merrily crackling away. It’s time to make Irish coffees, hot toddies, and peppermint schnapps hot chocolate. We love the warmth of these drinks, but along with winter comes another special drink choice (and no, it’s not eggnog). Winter seasonal craft beers become available! It’s hard to live in Colorado and not appreciate craft beer. I love seasonal beers, winter or otherwise, because they’re special to look forward to and brewed with the weather, activities, and food of the specific season in mind. Along with the cold weather comes hearty foods and sitting on the couch, so naturally winter beers have fuller bodies with stronger roasted malt flavoring. Well, most of them. Bottom line, you don’t want to go playing beach volleyball or frolicking in the autumn leaves after drinking one or two of these. But they’re oh so tasty because this is what winter is for: gaining a few pounds as you hang out by the fire watching all your favorite shows and eating homecooked second helpings. 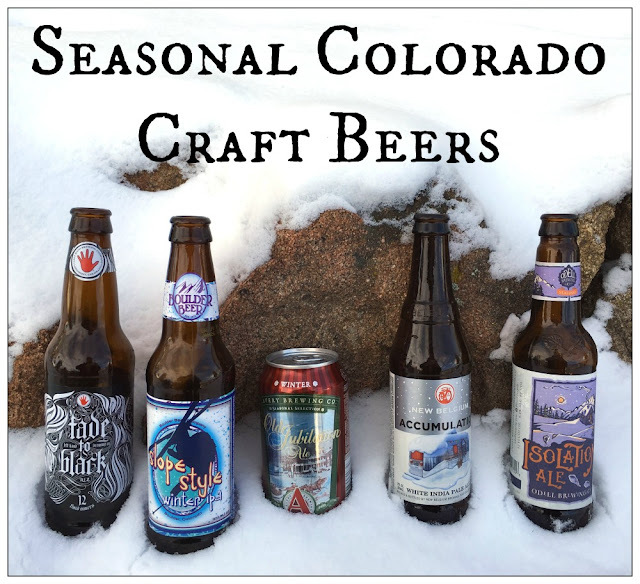 I’ve dived into five winter Colorado craft beers that are each different and appeal to various types of beer lovers. I taste-tested all of them (fun fact: this post took a while to write because there was no way I could drink all in one or even two sittings) and I’ve provided my own feedback. This isn’t an in-depth-I-don’t-know-what-you’re-talking-about-because-I’m-not-a-beer-geek anaylsis. I promise. I also checked that all these beers are available in plenty of nationwide locations, so this is not just for my fellow Coloradans out there. And now, in order from lightest to fullest, I give you my favorite selection of Winter Colorado craft beers. This beer is for those who like a little bite. It is tame as far as IPAs go because the Belgian hops give it a cleaner bitterness and a drier finish than your standard American-style IPA. 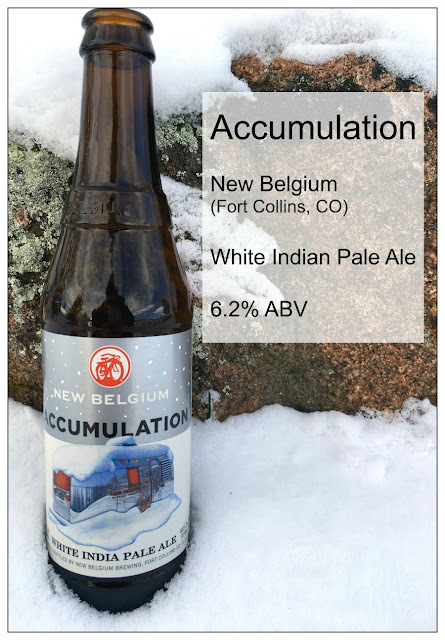 Seasonal winter beers are traditionally heavier bodies as represented in porters and stouts, though I like that New Belgium goes in a different direction with its white IPA. So let’s have a jolly holly white IPA Christmas with the Accumulation! Proceeds of this beer benefit Protect Our Winter, which is the leading advocate for climate control in the snowsports community. So you’re not only drinking tasty beer, you’re also helping a cause. Twist my arm, why don’t you? By the way, if you’re ever near Fort Collins, Colorado and have the chance to go on a New Belgium brewery tour, I highly recommend it. It will put all other brewery tours to shame. Hint: think ahead and schedule the tour several weeks in advance because it really is that awesome and fills up fast. You can taste the smooth pine hops, along with lemon and grapefruit flavors. Isolation Ale tastes like it should have a higher ABV than 6.1%, but it’s probably for the best because I want more than one of these. It’s personally one of my favorite winter seasonals because it has a good balance of malt, hop, and sweetness. The blend is a style of holiday brew common in English tradition. 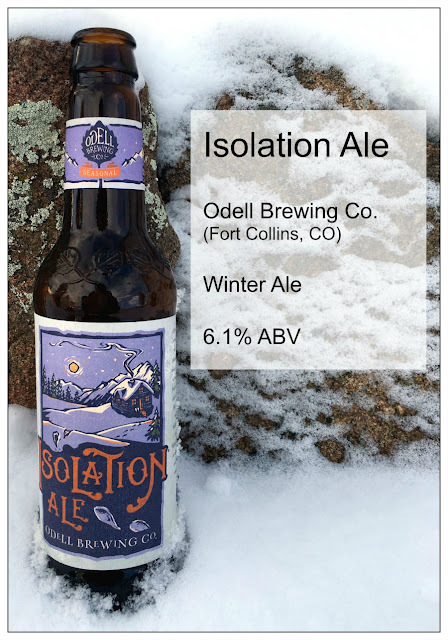 Not to mention, the label makes me want to cozy up with the beer by the fire with snow falling outside (can I please be in that snow-covered cabin?). It starts with malty flavor, though finishes with a slight bitterness. You can taste dark fruits, orange, and subtle caramel to add a little sweetness. Check out what the website has to say about this beer. If you like more than just a little bite (ahem, IPA lovers), you’ll enjoy this beer. If you like a malty blend in your beer, this one is for you, too. 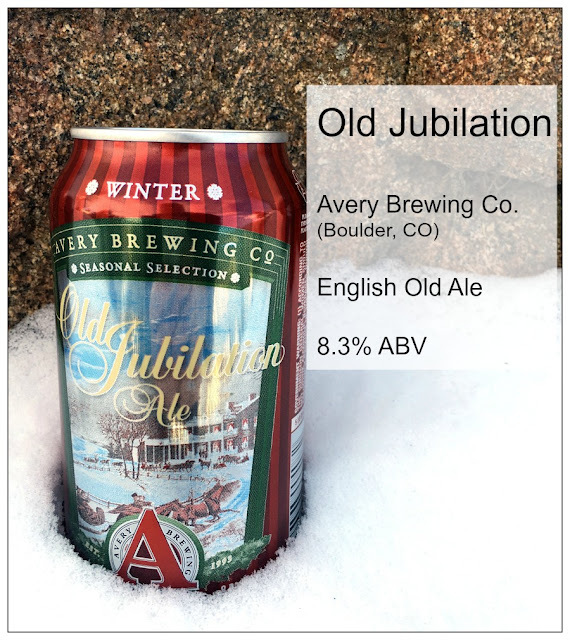 It is a full-bodied red ale with a pine hoppy finish and a smidgen of holiday spice. While it is not a heavy beer, it a sipper because of the powerful hop and malt (but that’s just me). I felt considerably full after one. It’s one of those beers that is a good choice to bring to a holiday party, but you don’t feel guilty for not buying more than a six-pack. I may be a little biased with this beer because it’s based in my hometown. 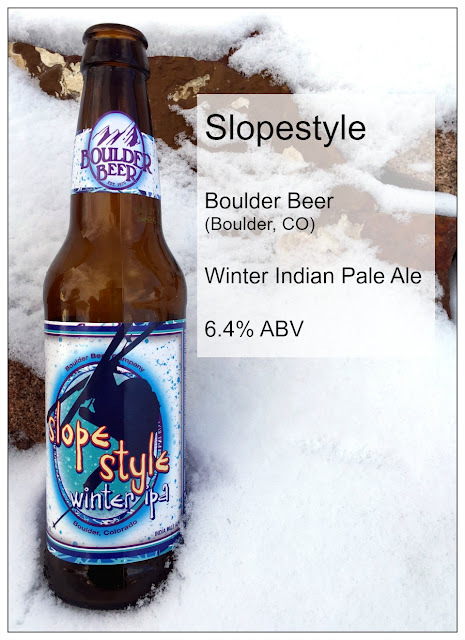 See, the Flatirons are on Boulder Beer’s label! You will first taste the strong pine hop, then notice the malty undertones with hints of lemon, grapefruit, and spice. Don’t be fooled by the can, while it may not look as classy it is actually better for the beer taste and the environment. I actually don’t know if it comes in a bottle like it used to, but anyway. The taste has a sweet, toffee and caramel quality to it, combined with nutmeg and cinnamon flavor as well as a hint of roasted malt and molasses. Be sure to look further into it at the website. 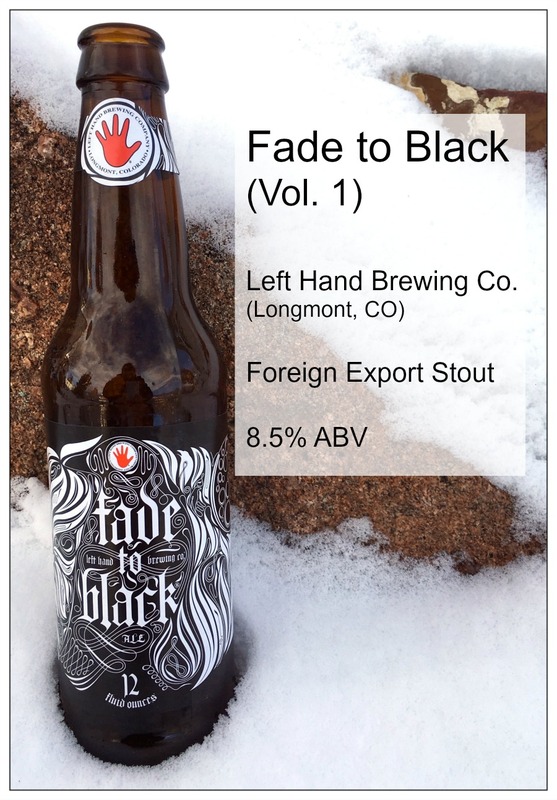 As the label says, “Fade to Black. That time of year when the light fades away. Brewed for the darkness. Fade to Black speaks in volumes.” In other words, go to the store and get a six-pack as soon as Daylight Savings curses us with its existence. It took my tastebuds a little while to get accustomed to stouts because they’re heavy and malty. 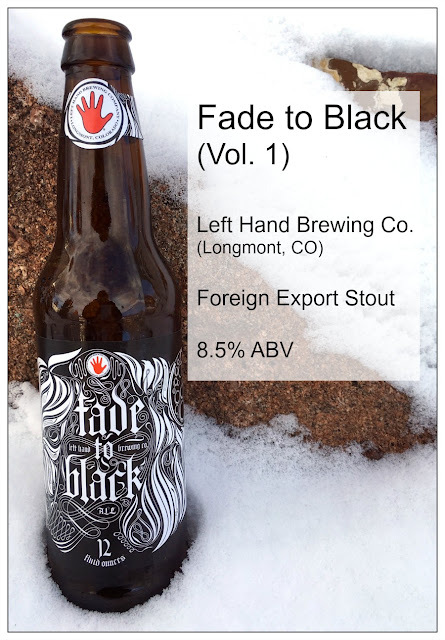 I think of Fade to Black as the “beginner’s seasonal stout.” It is by no means light, but I didn’t feel bloated after twelve ounces (although at ABV 8.5% I definitely felt something). Roasted dark malt, chocolate, and subtle coffee flavor. It has a slightly caramel finish with mild bitterness and dryness. Look at more details on the website. Well, there you have it. I hope you have the opportunity to try a few of these and provide feedback! Pssst if you want to try different types of seasonal beer to find out which is your personal favorite without spending unnecessary dollars, go to a store that offers a Pick-6. It is an inexpensive option of tasting a range of beers, seasonal or not! I hope you all have a wonderful and joyful holiday season. Stay warm and please be safe, especially when you are drinking these delicious beers (or any other alcoholic beverage). Thank you so much to Laura for featuring my very first guest post as well! Big thanks to Lexi for this fabulous winter beer list! Go say hi to her at Lex be Livin' or on Instagram, Twitter, Facebook and Bloglovin! I'm not a huge beer drinker, but I'm a sucker for seasonal beers. That light to medium one is right up my alley! Seasonal beers are my favorite too :) I hope you have the opportunity to drink the Accumulation! I haven't tried any of these ones, clearly I need to step up my beer drinking game!!! Pick-6's are so great to try out different beers!! I am definitely going to be showing my husband this list. He loves craft beers. I sent out an email to family and friends who love craft beers and surprisingly they hadn't heard of all of them. I hope your husband enjoys it! All of these sound great, especially the Fade to Black. I live in Nebraska so I'm hoping I can find that one SOMEWHERE around here! I'm sure you can! I'm pretty sure on the website you can find it through the "locator" or just ask your local liquor store :) Good luck!